We at regalpethealth.com would like to help you ensure that your best friend always has a wet nose, wagging tail and purrfect health by rewarding you with every purchase you make at our online shop. 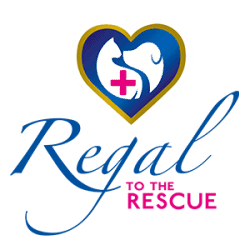 With our Regal Rewards Programme, the more you look after your pet’s health, the more you save. There’s no registration needed, simply make your first purchase and you’ll automatically be signed up for the programme. You will start on Blue status, and once your lifetime order value is over R500, you will qualify for a permanent discount of 5% with every further order you place, up until your lifetime order value gets to R999. Thereafter you will elevate to Silver status, which gets you an 8% permanent discount. Once your lifetime order value gets to R1999, you will elevate to Gold status which will get you a permanent discount of 10% with every further order you place online with us. As an added bonus to you, your permanent discount will run concurrently with any special offer we have on the website, which means that you, our valued customer, can save quite a bit with every order you place. Once you have registered and placed your order, you will be able to check your status at any time simply by logging into your account. Keeping your pet healthy has never been so rewarding. Start shopping and saving today!